The fair is geared toward parents looking to find out about bilingual education. The best of the bilingual education community are under one roof and ready to answer questions. Exhibitors (schools, publishers, educational businesses, camps) all practice and promote bilingual education in a wide variety of languages (French, Spanish, Chinese, Italian, German, Korean, Japanese, Arabic, Hebrew, and more). More and more, parents are understanding the benefits of bilingual education, and want to find the right opportunities for their child. 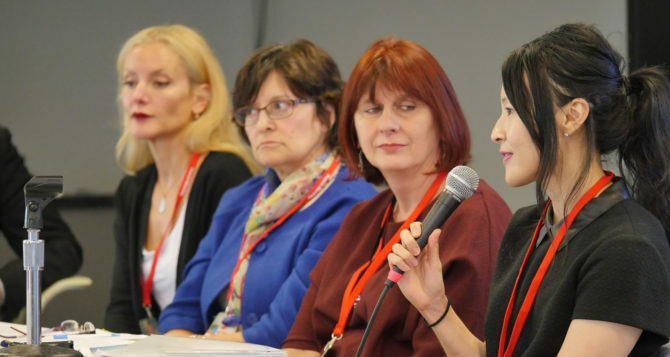 Organized by the web magazine French Morning, the Bilingual Education Fair is the premier event for all interested in the movement that’s changing the curriculum of so many schools and the futures of so many kids across the country. 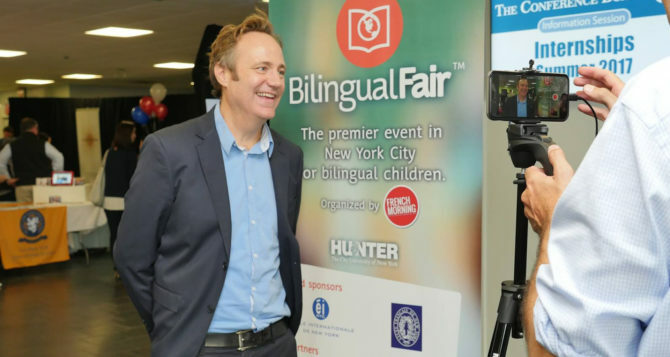 So far, we’ve organized three editions of the Bilingual Education Fair in New York. The fourth edition will take place this November 4, 2017. We’re also organizing the first Bilingual Fair in San Francisco, coming up this February 3, 2018. We have influential bilingual education experts speak at the fairs. Here are a few of our favorites. 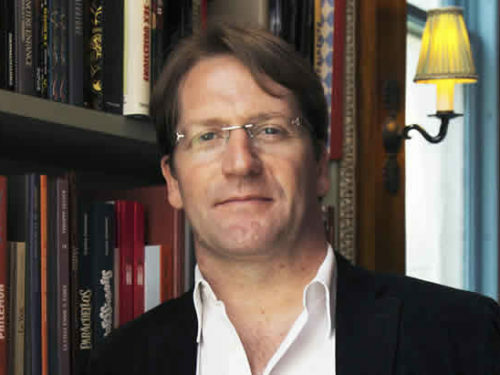 Education Attaché, Embassy of France in the U.S.
Fabrice Jaumont is the author of The Bilingual Revolution: The Future of Education is in Two Languages (TBR Books, 2017), which features the development of dual language programs in public schools in the United States. He also wrote Unequal Partners: American Foundations & Higher Education Development in Africa (Palgrave, 2016). He holds a Ph.D. in International Education from New York University. He currently serves as Program Officer for FACE Foundation in New York, and as Education Attaché for the Embassy of France in the U.S.
effects on brain structures and functions. public, serving among others as consultant for the Global Council on Brain Research. 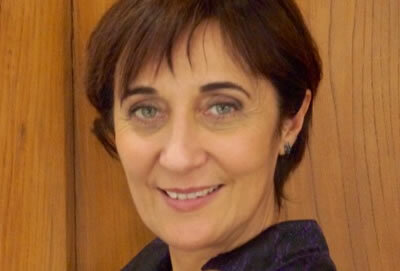 Audrey Peverelli is an Argentine-born, British and Swiss citizen who speaks English, French, Spanish and Portuguese. A self-proclaimed lifelong learner, she was a fellow at Columbia University’s prestigious Klingenstein Center. She serves on the Board of the Academy of International School Heads and is an advisor to the Board of Philosophy for Children. 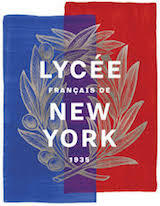 In August 2018, Audrey Peverelli joined the Lycée Français de New York as the eighth head of school in our 83-year history. 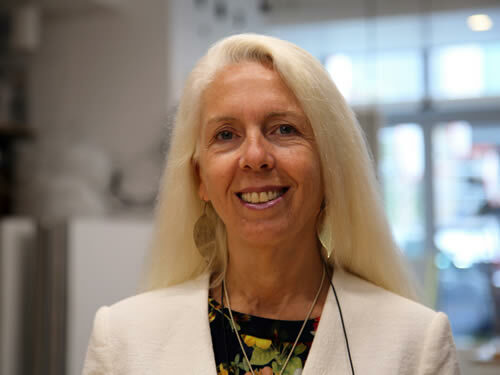 She is an international educator par excellence, with a 30-year career as teacher, director and founder of bilingual schools around the world, including in France, Switzerland, Venezuela and Brazil.